"In Vaiṣṇava philosophy there are three ways for perfection—namely sādhana-siddha, perfection attained by executing devotional service according to the rules and regulations, nitya-siddha, eternal perfection attained by never forgetting Kṛṣṇa at any time, and kṛpā-siddha, perfection attained by the mercy of the spiritual master or another Vaiṣṇava. Kavirāja Gosvāmī here stresses kṛpā-siddha, perfection by the mercy of superior authorities. 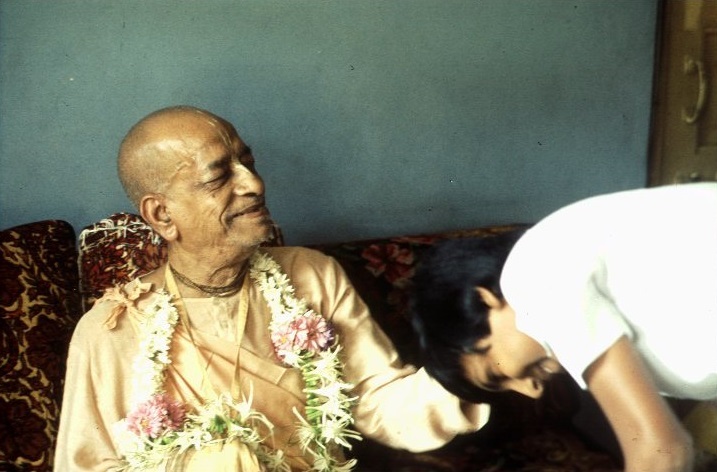 This mercy does not depend on the qualifications of a devotee. By such mercy, even if a devotee is dumb he can speak or write to glorify the Lord splendidly, even if lame he can cross mountains, and even if blind he can see the stars in the sky."